To quote Homer Simpson: “Doughnuts, is there anything they can’t do?” If we might answer his rhetorical question, no, there is not. That includes a Voltron-like fusing with his other favorite food group, beer. At Chicago’s Glazed and Infused head baker Chris White wanted to do something special for the city’s craft beer week. So he designed the IPDoughnut—the India Pal Doughtnut. White used a malted barley glaze made with Maris Otter—a popular brewing grain. He also added cascade hop powder for a little bitter kick on top. 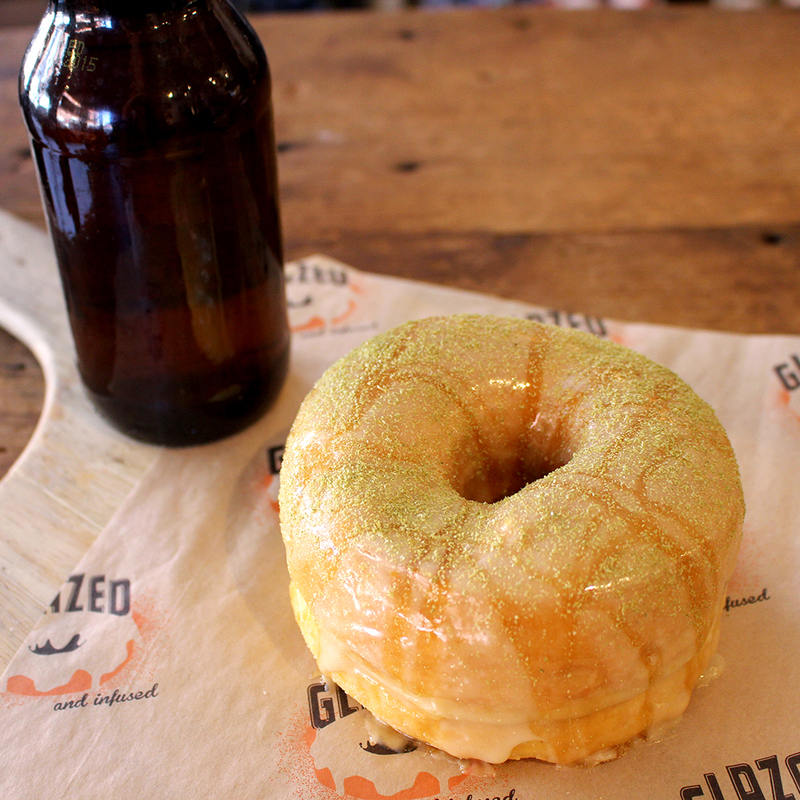 The doughnut is a limited time offer from Glazed although maybe it shouldn’t be. According to the bakery the very first day they sold out by 8 a.m. Diligent doughnut hunters have until May 24 to get one. If you do make sure to pair it a bottle of Evil Twin’s doughnut stout. Your tongue will never be able to tell the difference between a beer and a doughnut again. Can You Handle a Doughnut Lobster Roll?